If you are the sort of person who wears cufflinks and want something a little bit different than the standard designs available, then Etsy seller Edmdesigns is the pace to look. 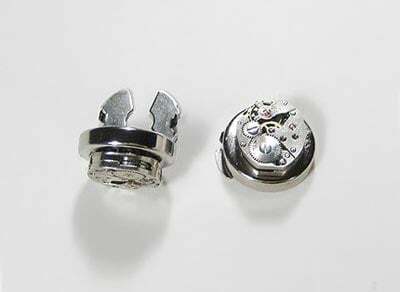 With over 53 unique designs, there certainly are a lot to choose from, like the steampunk vintage jeweled watch movement cuff less cufflinks featured above, which retail for $55.00. 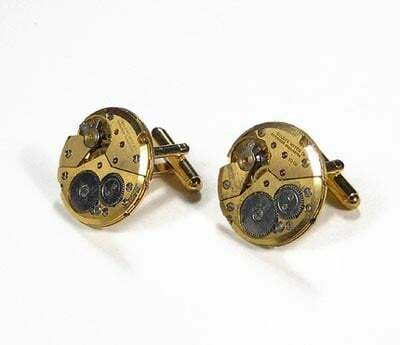 There is even a set of vintage jeweled 10k gold cufflinks which are made from Bulova watch movements from 1866 (pictured above), these ones are a little more expensive at $185.00. 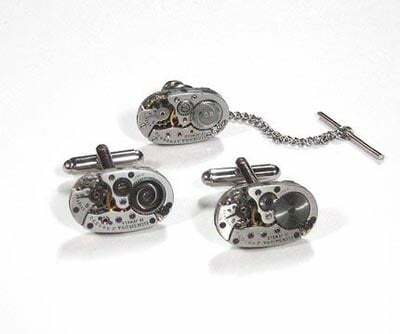 My favourite set has to be the Elgin Swiss vintage jewelled ones, made from watch movements from 1864, they also come with a matching tie pin, and these ones are a little more reasonable at $125 a set (featured below). There is something available for everyone, and these would make a great Fathers Day gift, as well a cufflinks there is a large range of other types of jewelery available from rings to necklaces, head on over to Edmdesigns and check out the full range available.